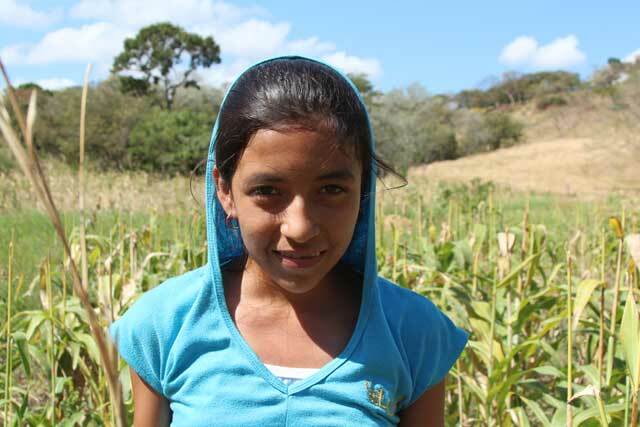 Dirt roads and hard-to-haul water are two problems that women farmers in rural Nicaragua must contend with. Another is lack of respect for their abilities. But a Caritas project has changed that, and now women like Alba Marina Rosales Ruiz are making a success of their farms. Alba Marina and her fellow women farmers are the winners of the “Women, Sowers of Development” award given by Voices of Faith and Caritas Internationalis. In March 2015, Alba Marina traveled to Rome, Italy, to accept the prize on behalf of her community. In this interview, she talks about her daily life on the farm–and how the Caritas programme has changed her family’s health and future. We are a family of six people. I have four children. Most of my neighbors also have large families. Before you joined the Caritas programme, what was your family situation? One of my biggest problems was that if my family wanted to eat a tomato, I had to buy it. We didn’t have much money because I had nothing to sell. I just took care of the house. We had no income, only expenses. We didn’t have irrigation equipment and seeds, but now, with Caritas Juigalpa and help from Caritas Spain, we have fewer difficulties. Bell pepper, tomato, cucumber, radish, beets, pipián, carrots, beans, sorghum, cassava, plantain, square banana, melon, onion and watermelon. What is the hardest part of managing your garden? At first the hardest thing was irrigation, because we had to carry water in buckets. After Caritas supported us with irrigation equipment, we can farm a larger area. What was the role of women in the project? We were the ones to get the whole family involved–our husbands and children. We worked together as a family. How has your family’s situation changed? I have income. Although the programme has not yet finished, the situation of my family has improved greatly because we are growing produce and getting a little more money. With that produce, my family has improved their diet and we don’t have to buy vegetables. We can sell to the market. The program has been very important in improving my family’s quality of life. We have benefited in many ways, especially from the workshops Caritas has given us. Now I feed our children in a healthier way, always putting into practice what I learned. You are a community promoter too, telling others about the programme. What motivates you as you work on your farm and mobilise others? We believe in the project; we like it a lot. And I think we should not waste the aid we are offered. 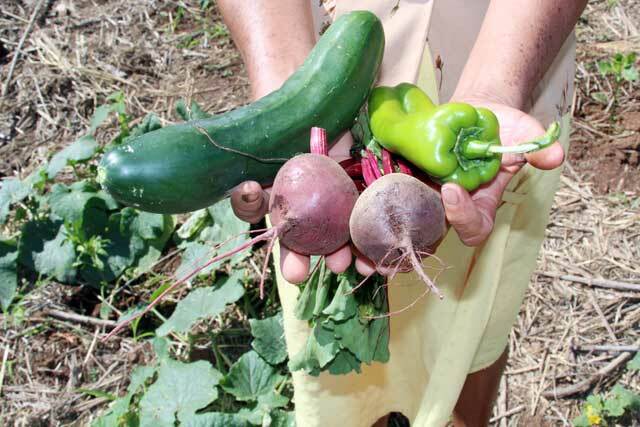 We also want to move forward with what we grow and harvest ourselves–vegetables and fruits that help us earn money and help our our children grow up healthy. What does the prize mean for the women in your community who have been part of the Caritas farming project? For us it is a great gift from God. We never expected that we were going to receive an award for what we are doing here. And I thank God for the opportunity to go to Rome to receive the prize. I would encourage them to participate in these initiatives; to ask God to give them strength to raise their families; to work together with their husbands and children; to support each other and not be discouraged. I think I’ve done a good job. Hard work is recognised and that makes me proud. Reporting by Mario Fanjul, Gema Martin Borrego and Laura Sheahen. The Caritas Nicaragua project was funded by Caritas Spain.